Apparently, M. Night Shyamalan used to be a lot harder to work with. 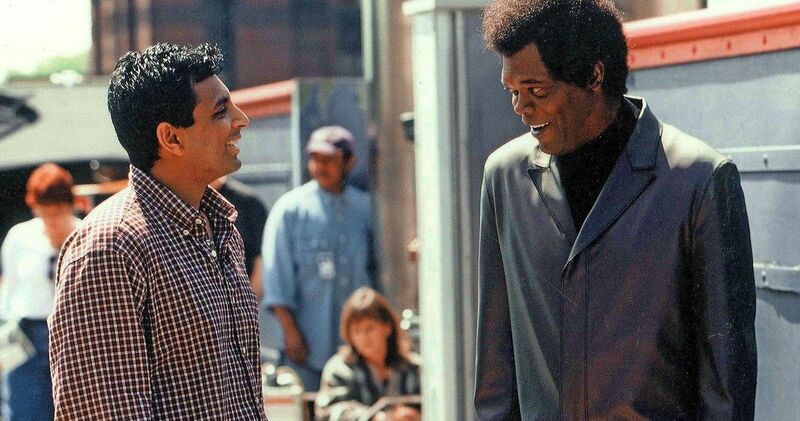 Samuel L. Jackson says that the director was like a “dictator” while they were making Unbreakable back in 2000 and states that Shyamalan has mellowed out a lot since then, which made filming Glass a completely different experience. The final movie in the trilogy is preparing to hit theaters next week and expectations are high. Fans have been waiting for a true sequel to Unbreakable for nearly 20 years now. Back when Unbreakable was made, M. Night Shyamalan was fresh off the success of 1999’s The Sixth Sense. The movie launched Shyamalan’s career and earned six Academy Award nominations, including Best Writing and Best Director. With that kind of success, it’s easy to see why the director may have felt some extra pressure to perform. Samuel L. Jackson had this to say about working with Shyamalan back then. Making matters even more difficult was the fact that Samuel L. Jackson was on the Unbreakable set for so long. He says that he only worked “13 days, but I was in Philly for two-and-a half months.” Jackson also noted that the sets around the area all had to be kept in place because M. Night Shyamalan insisted that they shoot the movie in sequence, which was quite expensive and hard to pull off. After coming off of that experience nearly 20 years ago, Samuel L. Jackson says that it was a lot different working with M. Night Shyamalan on Glass. Instead of the director being a dictator, he was open to suggestion this time around and it appears that Jackson took advantage of this fact. The actor knows how the director works, so he used that when working on the upcoming movie. Jackson explains. As for why a sequel to Unbreakable didn’t happen sooner, Samuel L. Jackson believes that it’s because, “it didn’t make as much money as the I-See-Dead-People movie,” jokingly referring to The Sixth Sense. Jackson and co-star Bruce Willis had talked about making a sequel for years, but Shyamalan wasn’t interested at those particular times. However, one day, out of the blue, he told Jackson to go watch Split, without telling him anything about the movie. Jackson soon signed on to star in Glass. The interview with Samuel L. Jackson was originally conducted by The Hollywood Reporter.